Annie Murphy looks lovely here in dark blonde locks that have been left out to sit on the shoulders, showing off the curled lengths and ends that gives the overall look a pretty finish. This hairstyle works best on naturally wavy hair but can be achieved using a curling iron or wand on straight hair. This hairstyle is easy to maintain with regular trims every 4-6 weeks and needs a small amount of product to tame fly-away hair. 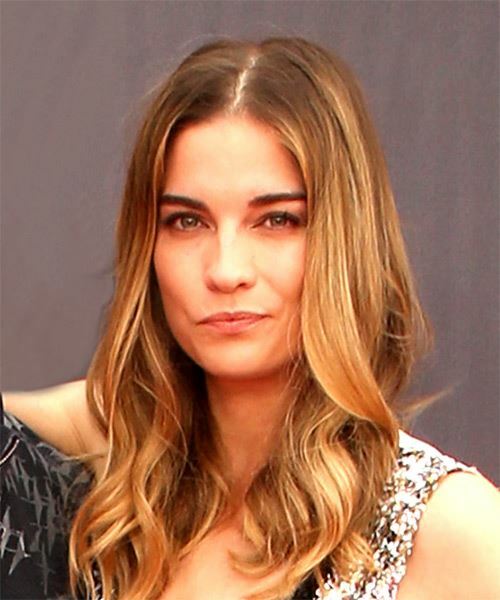 Annie Murphy is a Canadian actress, best known for her role as Alexis Rose in the award-winning TV series Schitt's Creek.